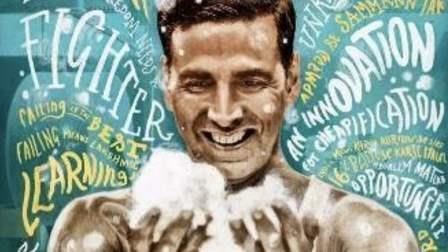 * "Pad Man": On January 26, it's Akshay Kumar, and no one else. I will put my money on this heart-warming saga of Arunachalam Muruganantham, the man who manufactured economical sanitary napkins even at the risk of being belittled. "Pad Man" is directed by one of my favourites R. Balki who courts the quirky with compelling credibility. * "Sonu Ki Titu Ki Sweety": Luv Ranjan is a director who gets into the head and the bed of the young without acting like a twit of a director. His remarkable proclivity for youthful candour is in full view in this wackily-titled rom-com where Sonu's (Kartik Aaryan) over-possessive best friend Titu (Sunny Singh) gets a girlfriend Sweety (Nushrat Bharucha). It's a lip-smacking bromance versus romance on February 9. * "Hichki": For my money and time, Rani Mukerji doing the role of a teacher with a neurological disability is just what the doctors prescribed. This official remake of a little-known American film "Front Of The Class" is the kind of inspirational story we all need in our lives. Release date is February 23. * Sanjay Dutt's biopic: Ranbir Kapoor playing Sanjay Dutt in a film directed by Raj Kumar Hirani is not quite my idea of an inspirational biopic. Nonetheless, this one is of interest for us to know what mistakes one can make in the journey of life. So this can be taken as an inspirational film in reverse. Verdict is on March 30. * "Veere Di Wedding": The sheer joy of watching a gallery of interesting female actors navigated by Kareena Kapoor Khan and Sonam Kapoor is enough reason to give this 'chic-flick' a run for its money. Release date is May 18. * "Gold": If Akshay Kumar owns Republic Day, he also exercises a quasi-copyright over the Independence Day week. On August 15, comes "Gold", a film recreating India's historic win for hockey at the 1948 Olympics. * "Super 30": Not kicked by Vikas Bahl's directorial abilities after seeing the mess he made in "Shaandaar". But it would be interesting to see the life of the maths genius Anand kumar brought to life on screen by Hrithik Roshan who hasn't done a biopic before. Releasing on November 23. And of course, Sanjay Leela Bhansali's "Padmavat(i)".